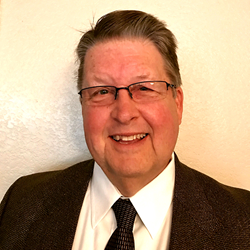 Oil and Gas Industry veteran to bring additional technical insight to TRC Services of Texas, Inc. Malone’s extensive experience in the Permian Basin artificial lift industry and corrosion inhibition will bring an important new perspective and dimension to TRC’s technical team. TRC Services, Inc. today announced that Scott Malone, former rod lift and corrosion control specialist for Dover Artificial Lift, has joined the TRC Services of Texas technical team. Scott was employed by Phillips Petroleum / Conoco Phillips for 25 years and Dover Artificial Lift / Norris Rods for 14 years as a rod lift and corrosion control specialist. Scott has served in various capacities for NACE International (formerly National Association of Corrosion Engineers), holding several positions for the organization. Scott is also currently a member of the American Petroleum Institute SC11 Committee for the Standardization of Oilfield Equipment and Materials. He has extensive experience and proficiency in sucker rod manufacturing, string design, failure analysis, and artificial lift systems. He serves as an instructor for the Southwest Petroleum Short Course seminar event held annually in cooperation with the Petroleum Engineering Department at Texas Tech University. TRC is a leader in the sucker rod industry. TRC is uniquely positioned to manage its customers entire sucker rod programs. Their product and service lines include new and remanufactured steel sucker rods, new Fiberflex Fiberglass sucker rods, sucker rod string designs, failure analysis, and well optimization services. TRC services its customers throughout the United States through its three plants in Midland, TX, and plant in Oklahoma City, OK.